Definition: The Informal Channel Network or Grapevine Network shows the pattern of the communication, i.e. how the informal communication passes from person to person. Single Strand Network: Under this communication pattern, the information flows from one person to the next person in the network. Such as, one person will give information to another person who will communicate it to the next person and similarly the third person will also communicate the same message to the next person in the network and so on. This type of chain is less reliable and accurate to pass on the message. Here, the communication process is linear. Gossip Chain Network: In the gossip chain network, there is an individual who tells the message to all other members in the network directly. He is generally the central person who seeks out and transmit information to all that he has obtained. Here, every person in the network communicates with each other informally. This network is often used when the subject matter is unrelated to the nature of the job. 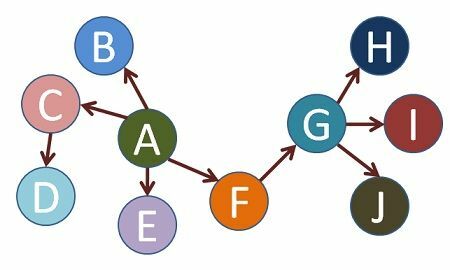 Probability Chain Network: Under this communication pattern the information passes randomly from persons to persons. Such as, there is an individual who acts as a source of message selects any person randomly in his network to communicate the message. That second person will again, select another person randomly and passes on the message to him, likewise the communication flows to different people chosen randomly. Here, the source of information for each member of the network is different. This communication pattern is used when the information is interesting, but not significant. 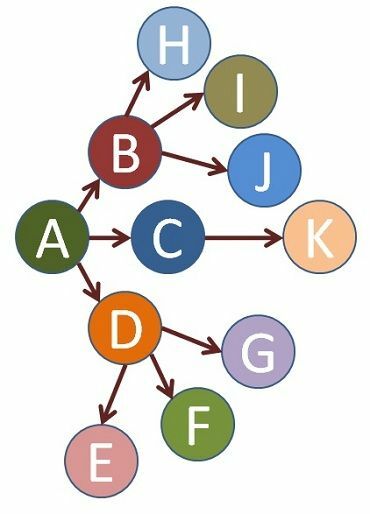 Cluster Chain Network: In the cluster chain network, there is an individual who, acts as a source of a message, transmits information to the pre-selected group of individuals out of whom few individuals again tell the same message to other selected group of individuals. 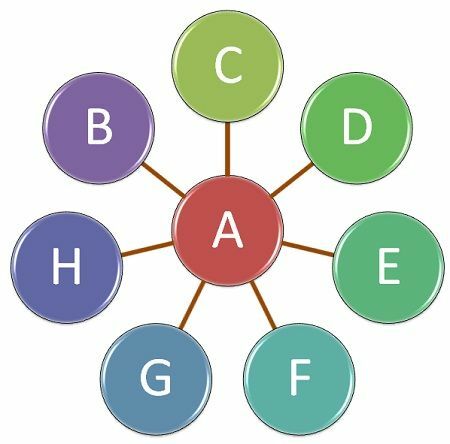 Likewise, the chain continues, and the message reaches to all in the network.This pattern is similar to the telephone tree, wherein one person calls other two persons, then these two persons call other three persons and again these three persons are expected to call other three persons. Likewise, the information gets transmitted to all persons connected to the telephone network. This is the most common form of informal communication network. Thus, several informal communication networks get created in an organization when people interact with each other irrespective of their hierarchical positions.